I hope I’m not over-sharing. 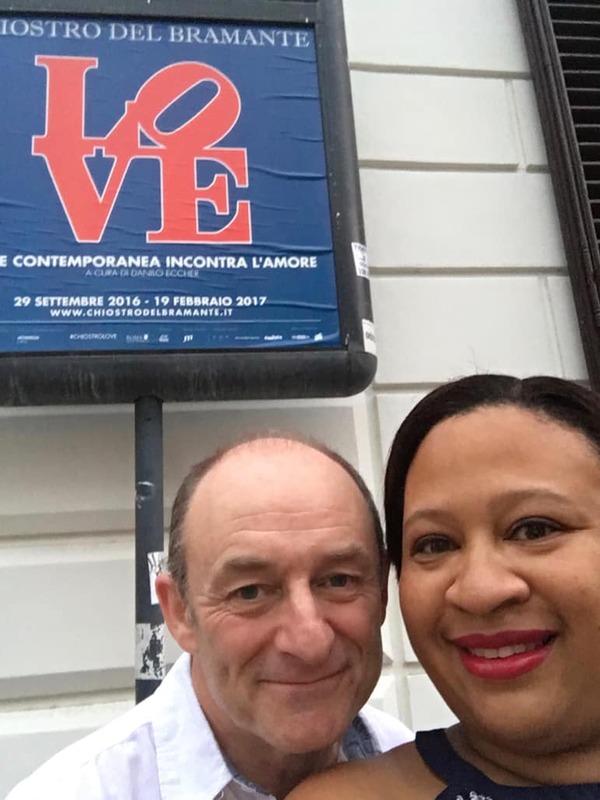 But during our romantic break in the Eternal City the earth moved for us – and I’m not just talking about seeing the attractions in Rome. Lying on the bed at our hotel, it started gently shaking. We gazed lovingly at each other and smiled. Then in a moment of horror (after accusing each other of shaking the bed, of course) realised it had nothing to do with us. We were experiencing tremors from an earthquake whose epicentre was over 100 kilometres away in Umbria. It was October, the weather was warm, but we had just returned from a day’s sightseeing in unrelenting rain. We’d travelled to Rome with Jet2CityBreaks on a particularly well-planned package break. We had a very comfortable airport hotel the night before our trip, flights at times to allow us to maximise our stay in the city and a four-star hotel in the centre of Rome. 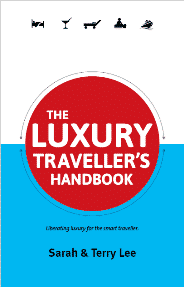 Add to that our package included private transfers and a few holiday extras. Jet2CityBreaks controlled many things about our trip, and did so well – but they couldn’t control nature’s elements. However, we’re not the sorts to let a little rain or a minor tremor get between us and a good time. 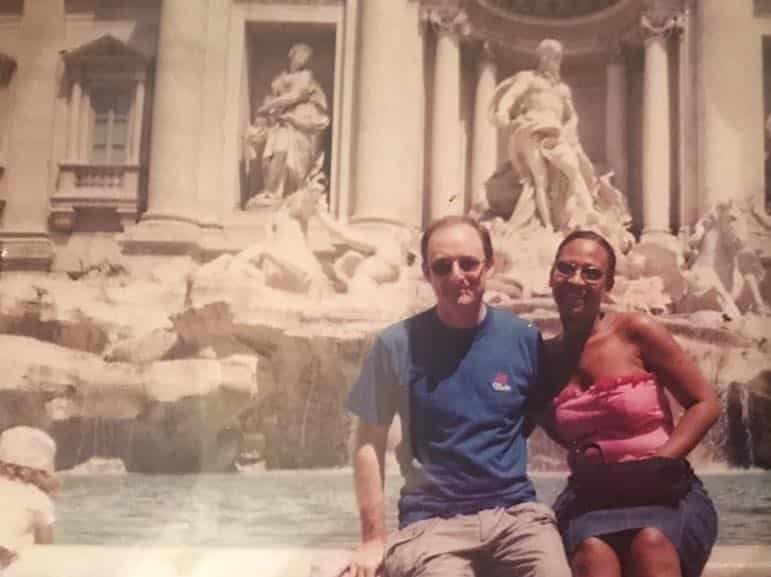 We were visiting Rome together for the first time in 12 years. On the last occasion, Sarah had whisked me there on a surprise holiday. I actually had no idea I was leaving the country, least of all for Rome, until we arrived at the airport and she could no longer keep the destination a secret. Luggage was packed, time off work arranged, flights and hotel booked, and all without my knowledge. I take an abiding pleasure in the mendacity and deviousness of my now wife. It was one of our first ever holidays together and our love was still young enough that we took joy in just exploring a new place together. After a weekend discovering stately buildings, characterful cobblestoned corners, and many historic attractions in Rome, the city gained a special affection in our hearts. On that trip we did what every Rome-loving tourist should do and tossed a coin into the Trevi Fountain – so we knew we’d return one day. And here we were back in the city, seeing the attractions in romantic Rome once more. There’s so much to recommend in Rome. 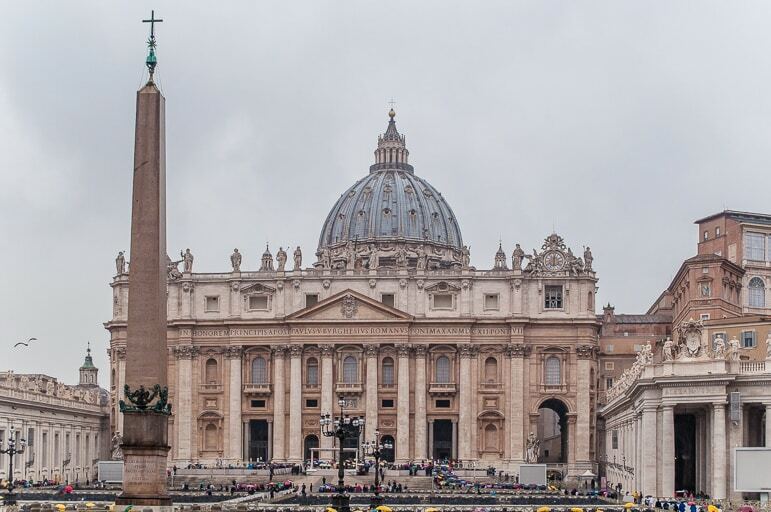 If you’re there with friends or family don’t miss the Vatican – so much more than a cathedral. I’d challenge you not to fall in love with the grandeur of St Peter’s Basilica, to enjoy the esteemed artworks of the Vatican museums, or revel in the truly beautiful Sistine Chapel. You can’t miss Rome’s history – there’s more than 2,700 years of it below the feet of modern Romans and every building work project seems to reveal yet another archeological site in need of excavation. The Coliseum and the Forum are two of our favourite places to visit in Rome to discover its past. Then there’s its architecture – from its broad, stately avenues, to squares where a mixture of angelic-faced and commanding statues tumble from buildings. 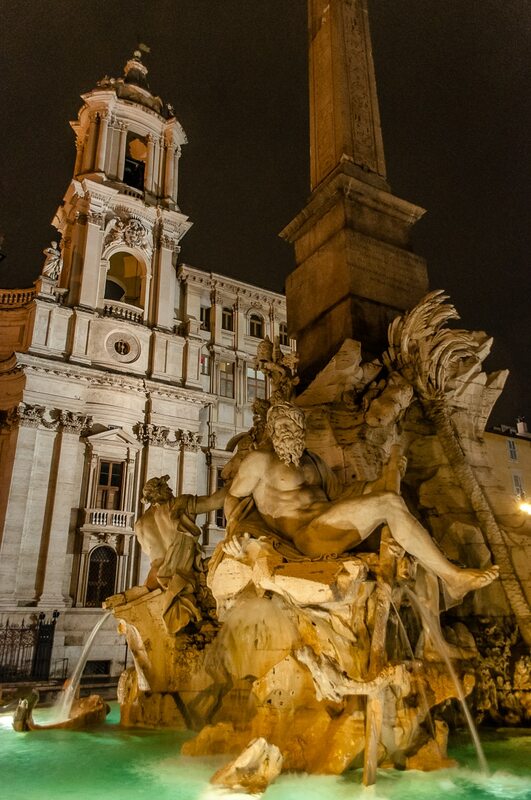 Take the famed Piazza Navona for example, where the river god Ganges reveals his power in Bernini’s Fountain of the Four Rivers. 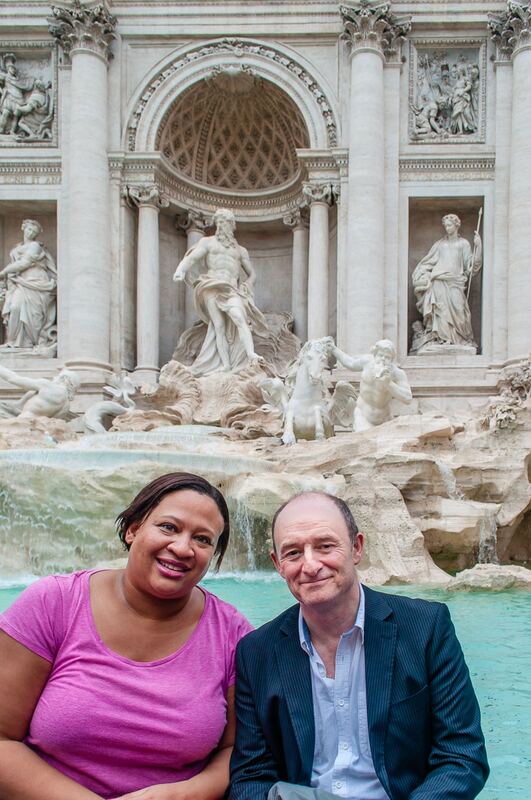 But perhaps our favourite place of all, and one of the most romantic, is the baroque Trevi Fountain. As a major Roman landmark the Trevi Fountain is always full of people so it can be difficult to find space for you, least of all a romantic gesture amid the crowds. 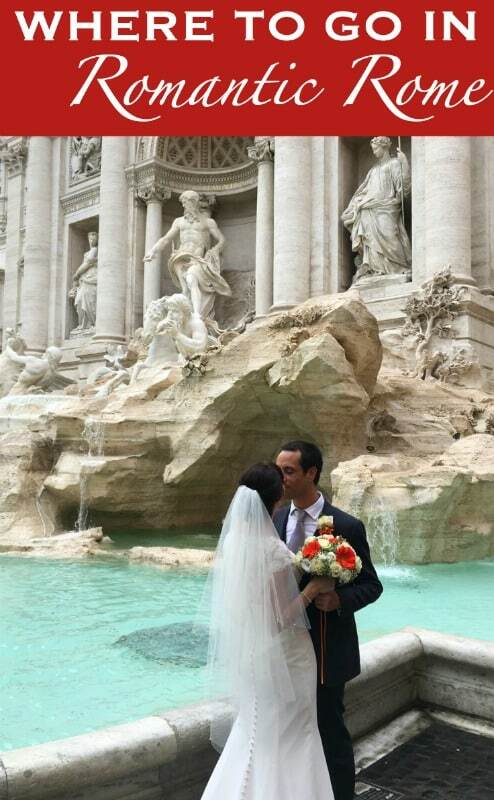 But such is its beauty, it’s a place to which many Italian newlyweds come to have their photos taken. 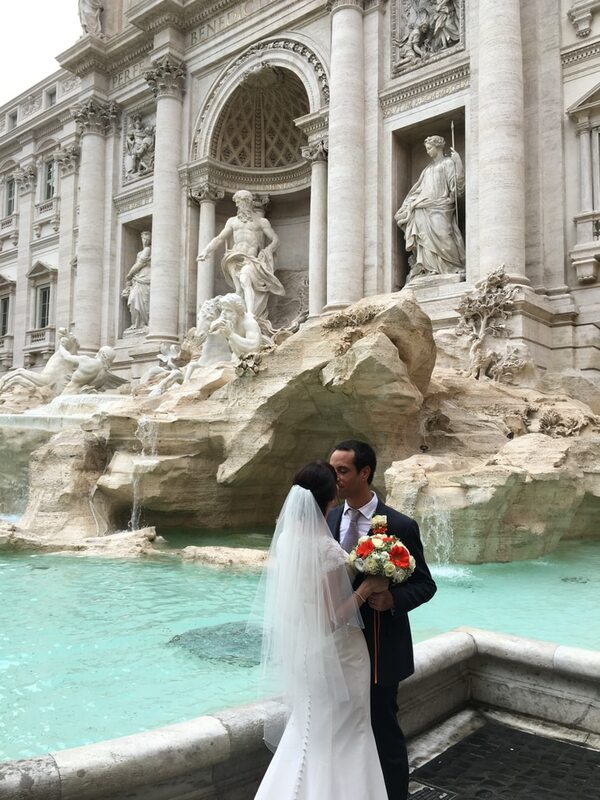 One couple we saw arrived there at midnight – proving it’s never too late for love, or to visit the Trevi Fountain. Admittedly, pizza is not the first thing I think of when I consider showing my loving side – but “when in Rome”, as they say. So we headed over the River Tiber into the Trastevere district of the city. Trastevere, which stands for ‘beyond the Tiber’, is a very characterful area, full of narrow cobbled streets, old houses and lovely eateries. Da Vittorio’s is a rustic, inexpensive pizzeria that isn’t just a local experience, but it’s crisp pizza creations come heart-shaped. 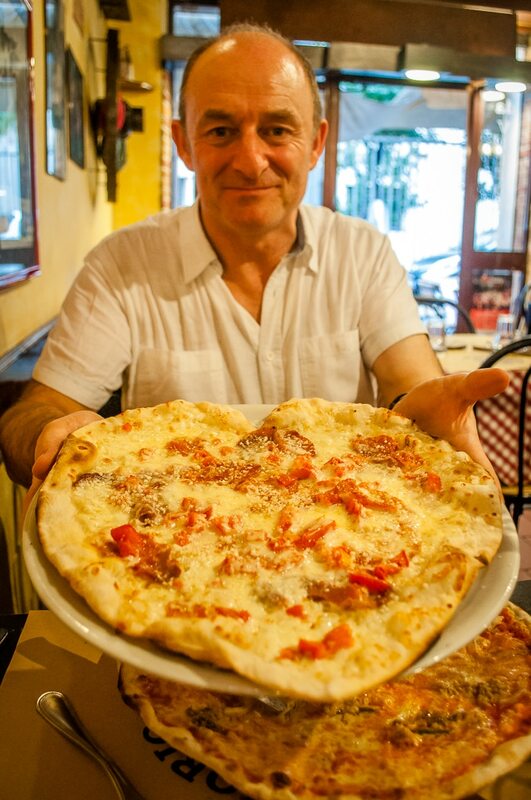 Sarah and I both enjoyed the food irrespective of shape, though only women get served the heart-shaped pizza, providing an unusual opportunity for us guys to woo them. In way of contrast, the following evening we took a taxi up Monte Mario hill to the Lo Zodiaco restaurant. Here, at 140 metres, we had a candlelit dinner looking out over the city’s glorious panorama. It was late in the evening when we arrived with the city lit in golden hues against the inky sky, but even then romantic Rome looked beautiful. Lo Zodiaco is an upmarket restaurant, with good food and fine wines. Here we were serenaded by a woman with a beautiful voice, as we dined on lobster linguine and red seared tuna steak with sesame seeds and a shellfish cream. 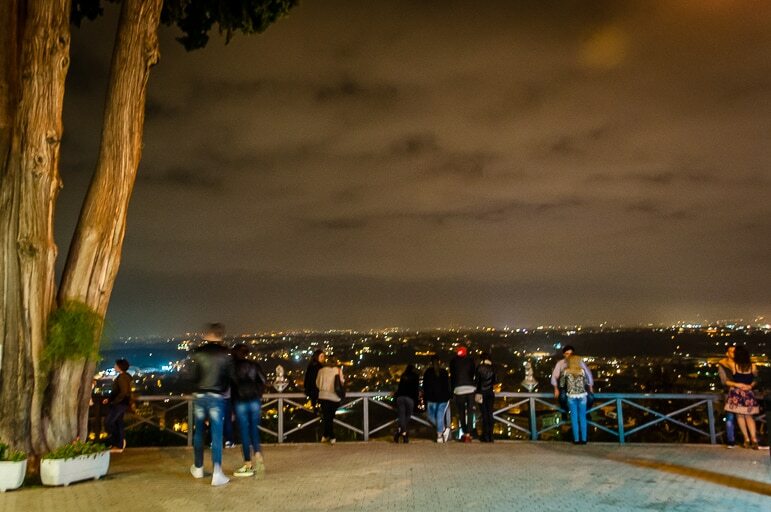 As we finished dinner and before hopping in our waiting taxi we paused for a moment to take in the view, and found ourselves among a number of young couples, smooching in the moonlight, proving that no matter where you are in Rome, you’re in a city of the heart. And let’s not forget the beautiful musicality of the locals conversing with each other. Italian is a lyrical language of love. For a romantic break, the Eternal City is up there with Paris for us, because as a city break destination, Rome always rocks our world. We visited Rome with Jet2Holidays and flew with Jet2. Find out more about Rome and – an affordable luxury tip – save on your trip with the Roma Pass, which offers free public transport and entry at museums, plus reduced entry at other attractions. The FOOOOD! Delish. Great post guys. Will reference when we eventually make it to Rome. 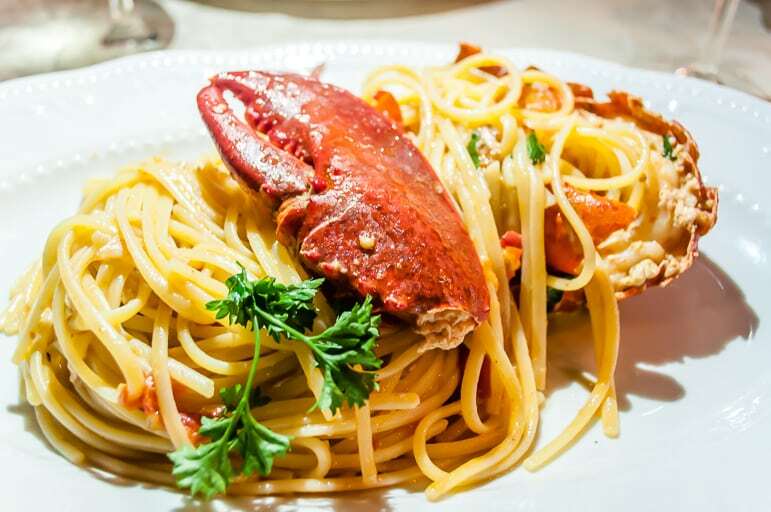 Ooh yes, the food is wonderful – you know, Italy! Great, hope you get there soon – we’re big fans of the Eternal City.